Sky is still, no zephyr in the desert land even and two loving hearts aimless stare in to the abyss. Silence conquered. She turned to him asked, what next. It pricked his heart, what kind of question was it! what it means. He asked her what do u mean!. She opened her lips to speak which were quivering he understood something is going to be hard again. She said sorry for keeping the kids away from him, but after some time she tough of telling them who their papa is she is glad he found her. what constantly bother her is he knows rajath and she is close to him y dint rajath said ram abt priya and why dint he come to her early. Priya how do u know rajath,he asked though irrelevant but it made a sync to the unsolved puzzles of their life. She pay no heed to ans him. look Mr.kapoor an unusual address, Damn... am ur ram priya he wanted to yell. She said,u have a family, u will go but wat abt my kids, they cannot take it if their papa goes off leaving them, how long this drama continues?, it is better if u leave before they are close. His anger expelled out and he hit his hand to the wall and the nail pierced his skin, leaving a stream of blood down the wall. She felt bad,devastated seeing him hurt.. He said damn u women what do u mean, ur my family am living for u alone, with a hope am going to find u out now i dont want to ask y u left me. Coz i trust u more, i will not leave u, where ever u want to live, here in dubai, in Bombay any where in the world : i wanna live with u alone. U r my life and my kids. She Shouted... . ENOUGH,,,, it is not anger but her agony, i know u have a family , wife kid and parent s every one, but am not like u i am shattered when my love cheated me, y am i saying that to u. Forget it..
my kids are used to lead a life without papa, but ur kid cannot don't waste ur time for me. She walked in. I ADOPTED HIM , I HAD TO, I WAS ALIVE BECAUSE OF THE BABY, he shouted. She stopped turn around to see him, she stormed - Am not deaf not to hear pride announcements of ur son. Priya listen i wanna live with u , with u, riya, pihu. They r my babies, He is angry. dont u dare to call him my son it is ur illegitimate child. I allowed u to meet kids not mean i forgive u. Till now our love blurred my mind, she said in anger. I want to shift my company here for u priya. Do what ever u want but never compare or dont make me the mother of ur son . He could not tolerate, he hold her hand. Why dont u smell it damn it, y dont u understand i love u, many r involved in this priya, i damn cannot leave u again. I am worried i saw him again here, with rajath- he left her hand she is shocked. Patting her head, "priya , i dont knw , i trained him for an year before i met u, he hasnt seen u but am sure there are many possibilities he can find out u r Mrs. Kapoor.he is not one among those who blindly trust a person and help u, he wont am sure abt it.there is lot of ambiguity here, I sensed some change in his behavior, especially when u r with me. He envy me now. Priya broke the hug- yes i did noticed, his changed behavior after u came home. Ram he was my friend , daijaan helped me a lot, he even took care of my babies, he is my well wisher he is just a friend till now and now my dewar but ...i cannot imagine anything else . i love only one man and that is..she hugged him tight weeping loud. she cant withhold her emotion any longer. She said RAM i LOVE U SO MUCH, y did u take this long to reach us. Y is ayesha ur wife, am alive damn it. Did u think am dead y dint u stop me the day i was leaving. I waited for u to meet me in the airport but u never turned up.. I felt like u deceived me for ayesha. ... Now please dont leave me alone ram more than kids i need u ..
Priya all that u saw in media is fake it is morphed when am not in my senses. I married only one women, married only u , i love u lot, when i heard such hatret filled words i feel like dying in fact i should have died that day it self. That day! What do u mean? A Worried curious lover in her inquired. her mind is diverted to be a attentive mom hearing her baby calling " mumma..." before she reach ram went and took baby to her arms and calmed her from ber night mare. She stood up perplexed seeing the quick transformation in him. i missed this all these days, felt guilty to herself. She closed her eyes ,tears rolled down from her kholed eyes like a stream ,she thought - how i wish we r the same ram n priya when we married, when nothing bothered us, and those smiles, times of togetherness...i wish to live them back..with u ram.. thinking of those days which faded years back. Priya is busy with ben listening to him on how to propose jackie. Priya asked him to know her first rather than to end up hurted. Here priya saw ram an jackie on the beach. Surprisingly she did not feel jealous Ram is just telling jackie to stop trying for his attention as he will never change. She said she envy priya for which ram laughed ,yes she is a kind of women all other get jealous of her. she is spl,but love is different not related to beauty, a matter of heart, how it links up with other person, the admiration, Most important love is not anything related to physical pleasure Iwill love priya till i leave my last breath without touching her, i want her happiness not more ...he concluded his talk saying try to find her true love and soul mate to understand what is love to feel love to be loved is a great feeling which cant be expressed in words.. he excused himself as krishna called him. he came to priya, talking to his mom. She silently walked along with him in his foot steps holding his hand, resting her head on him, hearing their conversation- one sided one. He saw her and smiled, she is seemed so innocent like a child. He chanted a silent prayer that keep her happy always, and a oat he will bring all the happiness to her life, he will do anything to preserve her smile. The dinner is finished, priya is feeling shy when they both alone walked to the cottage. He smiled and said good night she nodded. He came out from his room kissed her cheek, hugged her n wish good night. It was difficult for him to sleep alone.. He cannot do things which she do not like. He took out his card holder, took out few cards and made few calls. Soon restless priya got a call from nisha , asking her to come soon. Priya n ram left. Nisha said priya it was her wedding the next day so she has to be her brides maid. As she cant ask neha ask she is pregnant. Ram is the best man of joe. In a speck of a second she agreed. Ram convinced priya. Ben approached jackie who is upset cause of ram. No she was in deep thoughts, how could two love so deep. she never trusted in love because of her parents, she always thought two people come together for physical n more hormonal desires, love do not exist. Ram n priya kicked her to dilemma DOES TRUE LOVE EXIST? "may i join" ben asked her. WHAT...y r u following me..
Ms. Jackline ! [that was very humble sound she heard, and respectable too.what is this boy upto, his eyes speak volumes, what has happened to me i am trying to read his eyes n bothered abt his heart.she thinks] he continued,took her palms in his, I mean it u r a beautiful women, I want to confess a thing to u to day, what ever i say is truth, the day i came to ram bhai, u captured my eye not just because u are hot,but i saw u helping Mrs. Steven in her work, i observed u for many days, u were around ram bhai, later i found u angry to accept he loves priya, n i know u dont love ram bhai.in fact u never loved anyone. I showed some intrest towards priya to get close to u and suspecting bhai's nature towards her... the time i spend with u plotting for priya showed the kid like attitude in u which u ceased some where. There is a sensitive girl in u still alive who is criying now, as this nobody found the lost sweetest girl in u. She wiped her eyes. I dont want to know what happened in ur life but LOVE is true. It happens once, and yes soul mate concept is not a fantasy,it is found only when love becomes commitment for a life, only when u trust in love. i found one, R u not happy for me! She smiled n congratulated him. her name starts with J ..she is the most beautiful women in heart n in appearance i will be the luckiest guy if she accept me!. She aked him who is the lucky one... he went on his knees, and said "ms jackline, will u be the love of my life. Will u marry me". Tears rolled down her eyes, she heard people proposing I lOVE U but never like this. She felt special . she colapsed on her knees, cried out, and nodded yes. This is a real commitment she made to herself she thanked god for the wonderful moment in her life. She dint love him but his proposal is genuine made her go on her knees to accept him. she stopped in middle when jackie interrupted. Oh what u saying priya, ram isn't romantic i witnessed u both in his cabin that day. Oh that it was me who seduced him. How nice romance in office,ben interupted when both raya blushed. Priya this is too much yaar u cannot say that,. ram sulked. 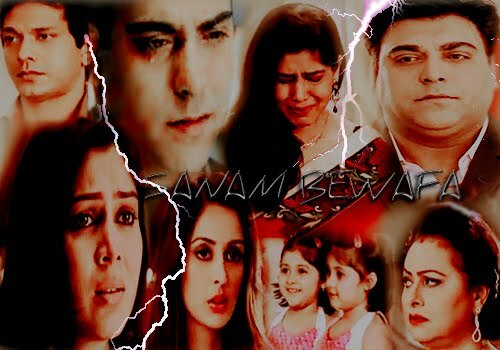 Awww ram i only can because i know u Golu she left angrily. She is angry coz he did not give her a little attention she need, as she miss him, the frustration that she cannot be able to be in his arms that moment and it is very difficult for her to control to stay away from him after the previous night. Ram is decked up with lot of work. Ben ,joe nisha even had lot of work to do. Neha n priya r left alone and vikram with them. She called him but he disconnected the call. Tears delved in her eyes. Here neha is restricted by vikram. She had carving for chocolate pudding at the late hour. Both the ladies are upset- neha found priya sitting in the couch hugging her knees. HMM! Woh ram... might be busy helping Joe. Its ok.
Yeah,... felt ignored? Neha asked. Tears rolled down priya's eyes. Thinking ram no more interested in her, may be it's her fault to offer him herself, but she needed that more than him. she is confused. Priya hugged her consoling her, soon vikram is at the door with half a dozen of chocolate puddings. Neha jumped in his arms. all her agony has gone in seconds. Seeing them priya missed him more. more than neha, priya is glupping the dark chocolate pudding. Neha saw it and ordered vikram to bring ram here now n said he has to apologize her. "priya , i know u r not sleeping. Listen to me am sorry dear, am not away from u, it is not like i ignored u i could not do it. Listen to me! I love u .. so much ... i have a surprise for u tomorrow. I went to plan it." she looked to his eyes... turned to him. "what".. ram wiped her tears, kissed her eyes. "surprise darling... am sure u will like it. I cant see u like this it squeezes my heart. No more tears no more insecurities"
"not insecurity, i felt u ignored me!" "no ... do u possibly think , after last night ... can I" he smiled naughtily coming closer to her.. she pushed him a little blushing. "i dont know...but i carve ur attention"
"even I, tomorrow is an auspicious day, maa said . dadi was talking abt our marriage it seems. She want u as her daughter in law soon as possible. Maa is scolding me.will go to india n marry soon i can't see my self away from u.. it is so difficult priya"
" INDIA... no ram .. please i dont want to come, will marry here n go there. If not will call all here.." he kept his finger on her lips ..
"dont panic, trust me. I will always be ur side..i will protect u from every trouble .. i will shield u from everything .I promise. U r my wife already in every sense since the day i kissed u ,i vowed to my soul,u r my wife"
She hugged ram tight. He took her in arms patted her back till she is consoled, n drifted to sleep,he covered her in duvet,went to couch to sleep.though they are one, he promised her till they marry they will not cross limit. He slowly... slept seeing her in the moon light..
She came back to senses with the sweet tone of her angel in her fathers arms. asking if they r fighting. She took her in arms and asked ram to carry the other to their room made them lay down. Pacifying the cute one,making her understand that they were not fighting. The little angel slept after a while priya adjusted pillows around them n went to their room. Ram is lying in the bed. Sadness is evident on his face. He is hurt coz of her. she sat beside him, she broke the silence. I want to know where is shipra ji, he said we are manipulated then she is along with ayesha. She heaved a sigh. Apeksha? She enquirer , Since the day u left me i lost my sister too, she treats me a culprit, i will carry the blame on me but cannot bear the pain of staying away from u any more.. he caught her hands n kissed,hide his face in her palms. She felt his tears, she took him close to her made him rest his head on her shoulder. Priya.. do u still trust me! He asked her. the immediate ans was , YES i always do. What ever i said is true. Am not doubting rajath, i will find out the truth. I can do it if u r with me. U r my biggest hope n strength She made him lie down, i trust u u r right rajath never said any connection with kapoors to me. Jyothi died in an accident. Cady rina dayijaan helped me a lot ram. rajath seems a puzzle i trust u fully. Am with u ... though she has many question in mind, she kept a pause to all for him as he is in agony, she knows him he will clear all the mess.